Congratulations to Everyone Who Completed the Fargo Marathon!! Whether you participated in the 10K, Half-, or Full Marathon, you should be very, very proud of yourself! Okay. I have to admit that I am pleasantly surprised. I don’t want to sound ungrateful to those who have been coming here on a regular basis or surprised that people come here at all. However, The Hitchhiker’s Guide to Job Hunting has had its busiest week in its history. This week there have been 103 visitors to the site; 85 on Monday alone!! I just wanted to say, “Thank you, thank you, thank you for the support!! !” What a great feeling to know what you are writing is reaching out to others. P.S. 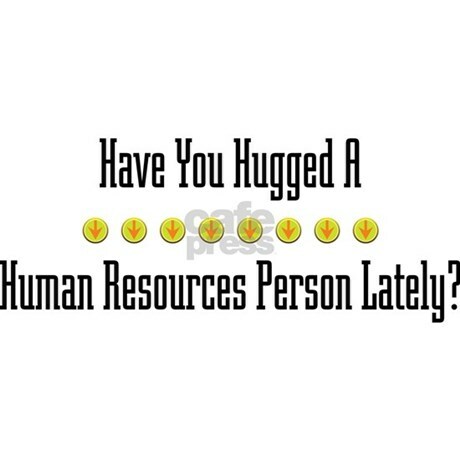 Don’t hug human resources without expressed written consent!